Doug Ducey, the Republican candidate for governor of Arizona, has a great uncle, grandfather and uncle who were linked to organized crime. 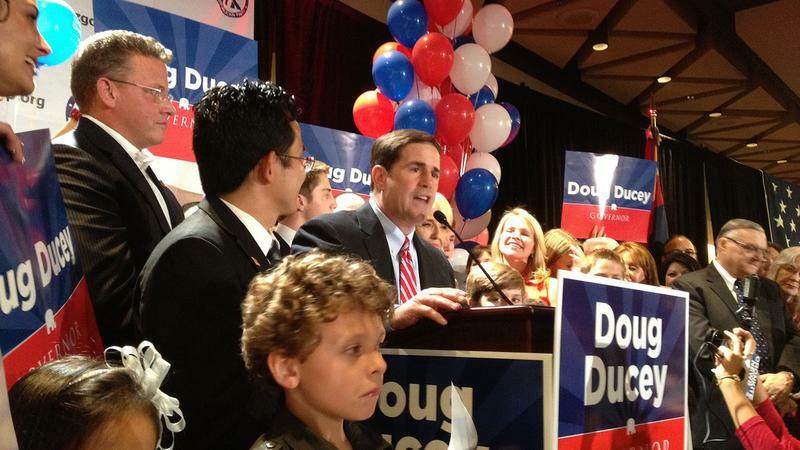 Doug Ducey, the Republican candidate for governor of Arizona in November’s election, hails from a family that for two generations was involved in organized crime in Toledo, Ohio, according to a report by The Center for Investigative Reporting and Phoenix New Times. The politician’s relatives ran after-hours gambling clubs and participated in bookmaking, numbers running, loan sharking and other lucrative and illegal activities in the northwest Ohio city from the 1930s through the 1980s, according to documents and interviews. Ducey’s place in a family that was tied to organized crime in Toledo has never been publicized, and CIR and New Times discovered no evidence that he profited from or engaged in criminal activity. Ducey's campaign did not respond to a request for comment.